I totally gravitated toward today’s engagement shoot because nothing reminds me more of summer than carnivals. Kelly + Joe spent a few hours getting dizzy on rides, chatting it up with delightful "carnies" and caricature artists as well as munching on a variety of delicious fair foods. 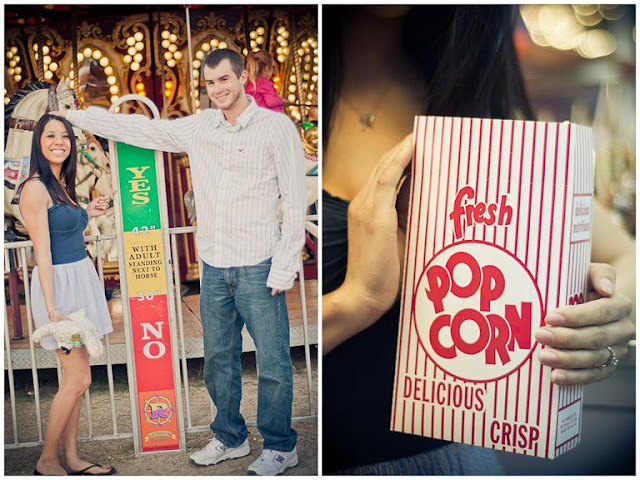 what a super fun engagement session! 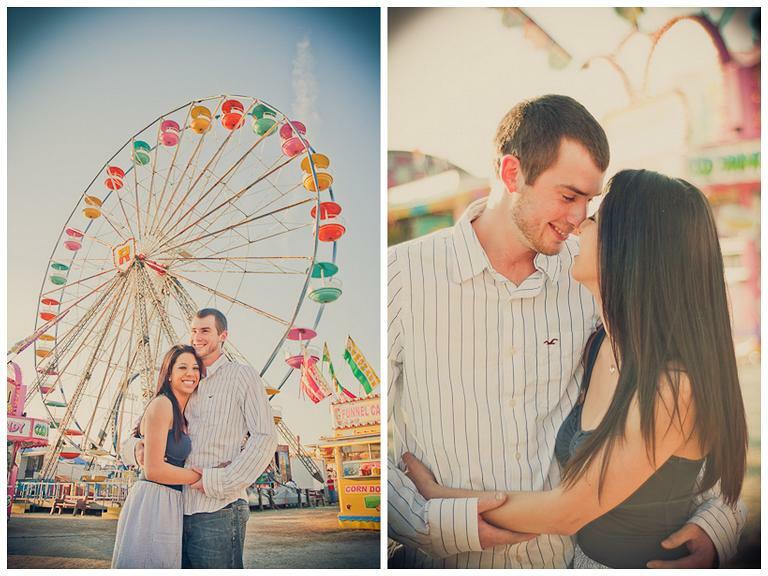 i LOVE the pics w/ the carousel!! Adorable and sweet! Looks like they had tons of fun! That is so cute! 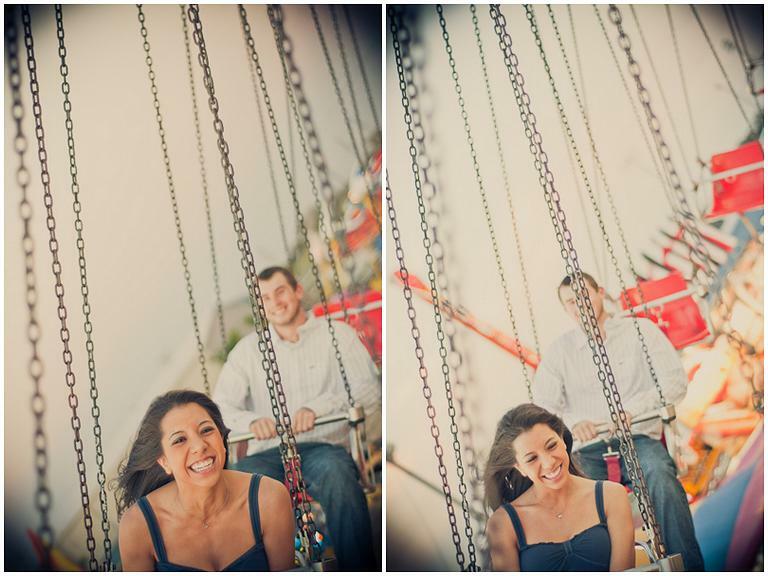 How on earth did you get the photo while they were on the swings? 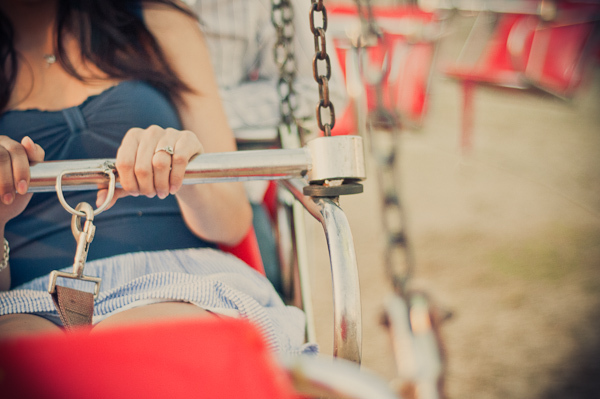 Were you on the swings too lol? Impressive! um...now this is the cutest thing I've ever seen. And I've seen my fair share of fair type engagement sessions. And this is definitely the sweetest. Oh, and I'm having a love affair with that ferris wheel? I blame the color lover in me! This is the CUTEST session I've ever seen. Seriously. Such a fun looking shoot! Here in Pittsburgh, Kennywood Park is a great place to get that look.Now, I'm ready for a funnel cake. love this post! 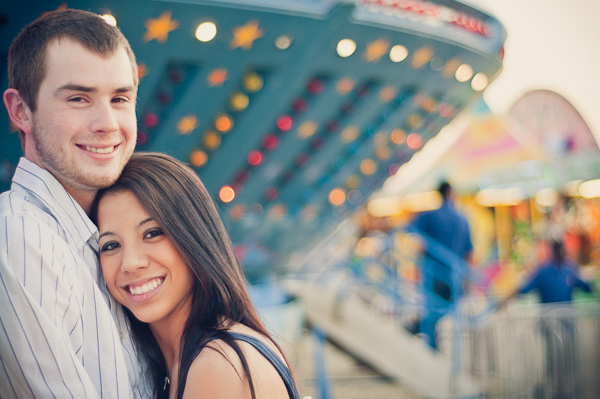 great use of the fair for the background! What a gorgeous session! 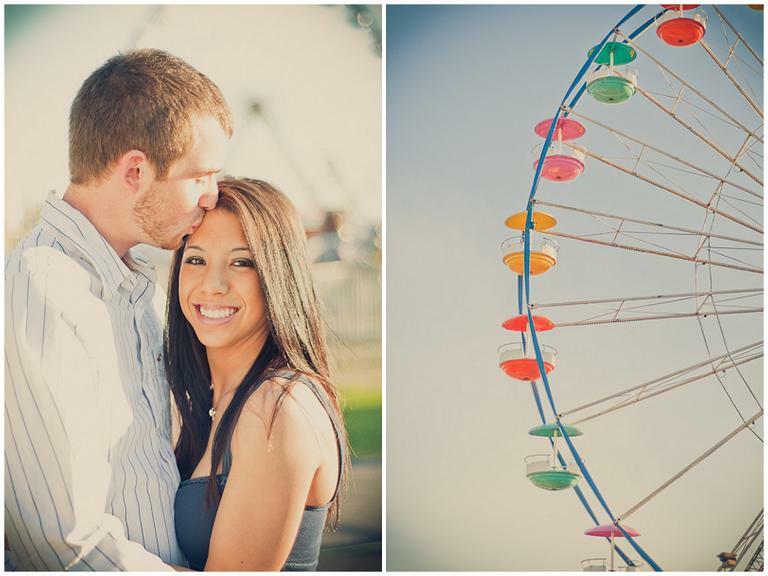 Love the ferris wheel! How fun... this definitely makes me want to head to a carnival and be a kid for a day!! Adorable couple! I love the color on the photos... they look so lively. 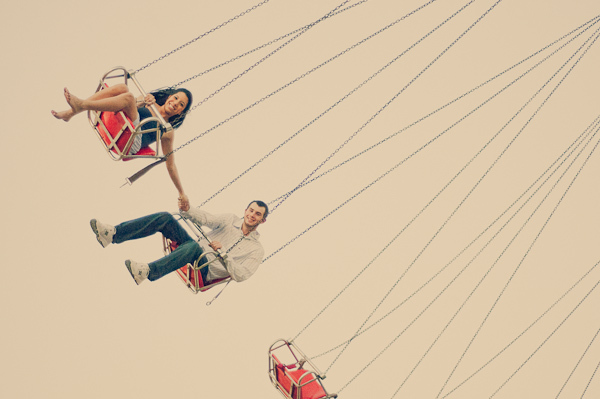 My favorite photo is the one where they're holding hands while on that ride... so nice! What a gorgeous summer shoot-I love this! You know I just love the colours in this super fun shoot! Great post! Such an amazing shoot/feature! The light is just perfect and soft and the carnival is amazing. adorable! 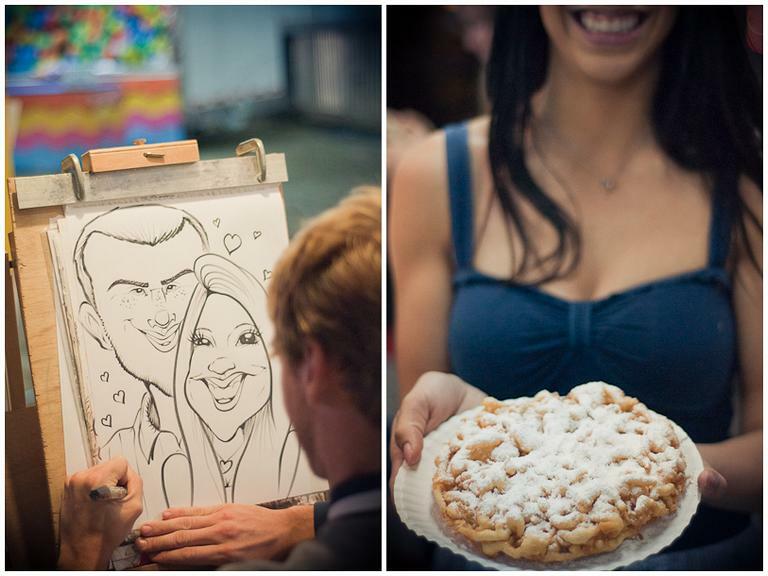 the photographer really captured the young of this couple. oh this is so very very adorable! love love the ferris wheel. Just stumbled on your blog and love it :) What a fantastic setting for engagement photos, the swings are awesome! This is just too darn cute!!! 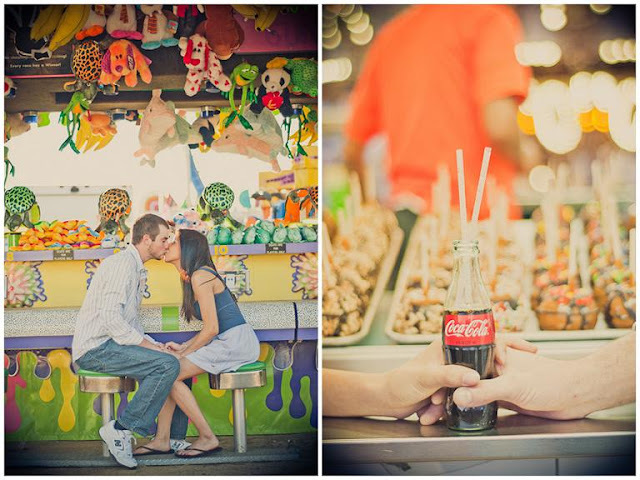 Carnival shoots always make me smile ;-))) How can you not be happy at a carnival! 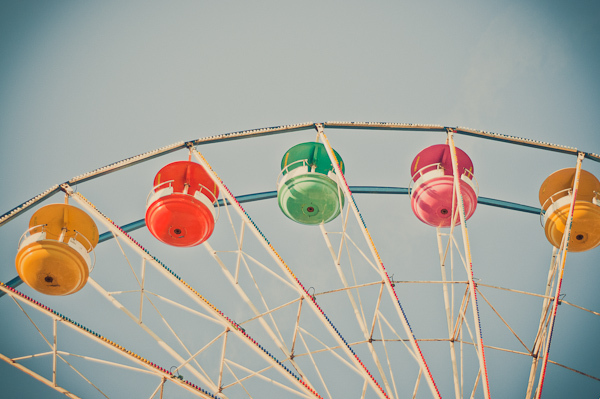 I love the shots of the swings and the ferris wheel ~ wow!! All so fun and gorgeous. What a cute engagement shoot!